Members Meetings are times we set aside once a quarter to hear reports from the various ministries of the church and rejoice in what we see God doing in and through us as his people. 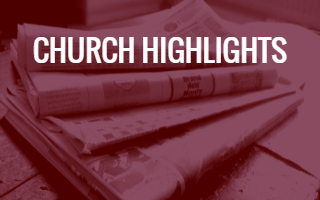 We also discuss upcoming events and vote on any important issues in the life of our church. We encourage all members to stay for the meeting. If you are a deacon or an officer and have a report to give, let Gene Keysor know, so he can call on you during the meeting. Any visitor that would like to stay and see what we are about is welcome as well. Before the meeting, we will have a pot-luck style lunch. So, bring something to share!